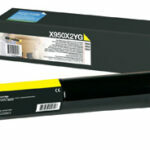 For superior quality prints at lower costs, get the high capacity black Lexmark 52D2H00 toner cartridge. 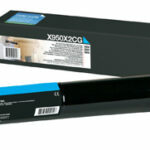 This original high capacity Lexmark 522H black toner gives you page after page of crisp, sharp and vibrant prints. It lasts for thousands of pages before replacement, giving you better savings on each round of printing. 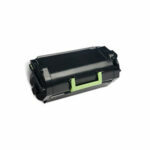 The Lexmark 52D2H00 high capacity black toner delivers high-resolution products, especially when used with compatible printers. 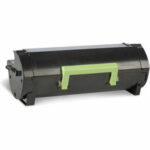 The Lexmark 522H toner cartridge is also designed to reduce toner spillage and maximise content, which means less toner waste and more printed outputs. Compatible with Lexmark MX310, MX410, MX510, MX511, MX611 Printers. 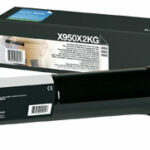 Compatible with Lexmark MX510, MX511, MX611 Printers.